CamRade offers a wide variety of carrying bags for all kinds of professional AV equipment. The run&gunBag Small is especially designed for compact cameras up to 38 cm and 15.0 inches (in length) and offers the possibility to safely transport your camera, completely assembled, ready for action! The run&gunBackpack Medium offers room for professional cameras up to 44 cm and 17.3 inches (in length) and allows you to safely transport your camera, ready for action! The run&gunBackpack Large offers room for professional cameras up to 52 cm and 20.5 inches (in length) and allows yout to safely transport your camera, ready for action! wetSuit PXW-Z90/HXR-NX80 fits Sony PXW-Z90 and HXR-NX80. wetSuit PXW-FS5 Mark II fits Sony PXW-FS5 Mark II. WetSuit PXW-Z150/HXR-NX100. 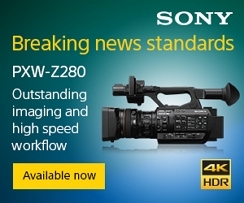 Fits Sony PXW-Z150 and HXR-NX100 camcorders.